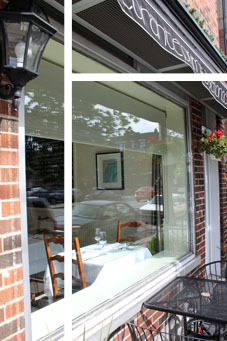 Ristorante Primo & Secondo located in the center of Montreal’s Little Italy opened in 2001. As one of the cities most reputable restaurants with its strict standard for quality products, Primo & Secondo thrives on the simplicity of Italian cuisine. At just a few steps from the Jean-Talon market and in the heart of Little Italy, let yourself be seduced by the seasonal menu of Ristorante Primo & Secondo. It's tender and succulent veal chop and its truffle and Porcini mushrooms risotto with the tastes of Piemonte, the whole with the unique signature of Roberto Stabile.